Since the turn of the century, technology has forayed and invaded into a lot of fields and education is a no exception to this which includes school classrooms. However, there always seems to be problems with the learning methodology in schools and there’s no compelling evidence of better learning or teaching. XSEED is one of the many players who plan to change the path of learning for children at school from boring and tedious to interesting and fun. The company recently launched XSEED-MAX, a weekly digital learning class in Maths & Science based on the proven XSEED Method. With XSEED MAX, students of Grades 1-8 go through a special class each week, which focuses on the most critical STEM concepts at elementary school level. Each year children focus on the 25 most critical power concepts science and math concepts. One concept at a time. The company believes technology can and needs to do three things to be an effective learning tool for children. First, it must engage - its needs to include the student in the learning experience and not restrict them to be a “watcher” of “tell” lessons. Consistency is one great benefit of technology, but it must be a high-quality consistency. Second, personalized and high-frequency assessment and feedback are one of the most potent tools of technology. Third, it must be affordable and easy to use for the teacher. Young children will always need some adult guidance. The teacher will stay, her role will change. 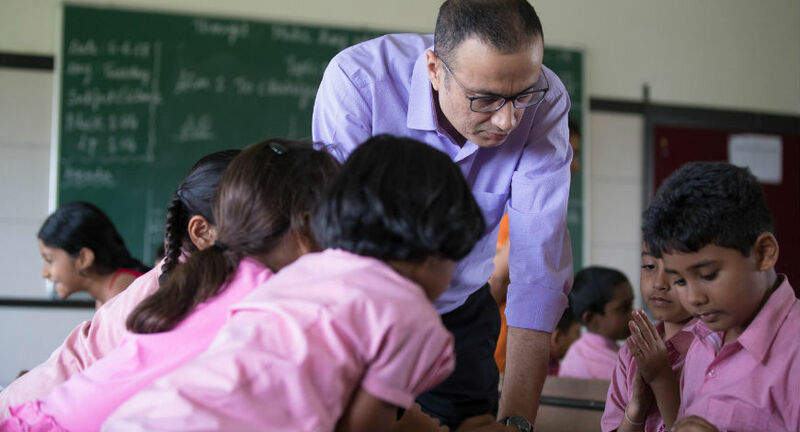 The Singapore-based firm aims to expand its presence to 10,000 schools in India by 2020 from roughly 3,000 currently, its founder said. “In the old world, the ability to memorize stuff was very important. From memory, it’s moving to understanding things,” Ashish Rajpal, the firm’s founder, said on the sidelines of the conference. “We need to create education that builds life skills, build a strong foundation that puts critical and analytical skills into students. Education is in a very difficult situation right now, as graduating students lack functioning skills as well as leadership skills. As school leaders, you need to reflect on a few things differently as it is a big responsibility to create an ecosystem of students who are curious about education and who reflect upon their contributions to society. We need to reflect on the role of education, as huge resources and efforts are being spent currently to build citizens of the future. We need to take on the challenge to significantly improve the quality of education being imparted. Indian industries face a paradox as jobs that are being created require skills that are not to be found in the 5 million who graduate out of school every year as opposed to 150,000 jobs which were created last year”, said Vinita Bali, former MD of Britannia, who is firm believer in Ashish’s vision with XSEED.